World renowned wellness coach and yoga instructor Jenny Gallagher has developed a revolutionary new approach to getting motivated and achieving dreams. 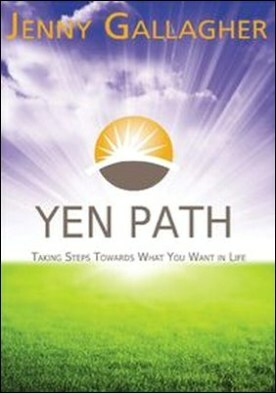 In Yen Path: Taking Steps Towards What You Want in Life, Jenny approaches her life changing concepts as she would approach a yoga class. By combining the best past, present, and future motivational concepts, Jenny will help you learn to: – Create a deeper understanding of what you want – Manage stress – Have a life/work balance – Relax and find joy Yen Path uses yoga in a holistic approach that encourages positive thought and action. Jenny explains yoga concepts as they relate to the benefits of stillness, balance, observation, non-judgment, intention, perception, metaphysical laws, energetic patterns, biological characteristics, nutrition, exercise, wisdom, and gratitude. Her approach is logical, geared toward the professional, and leaves no stone unturned.